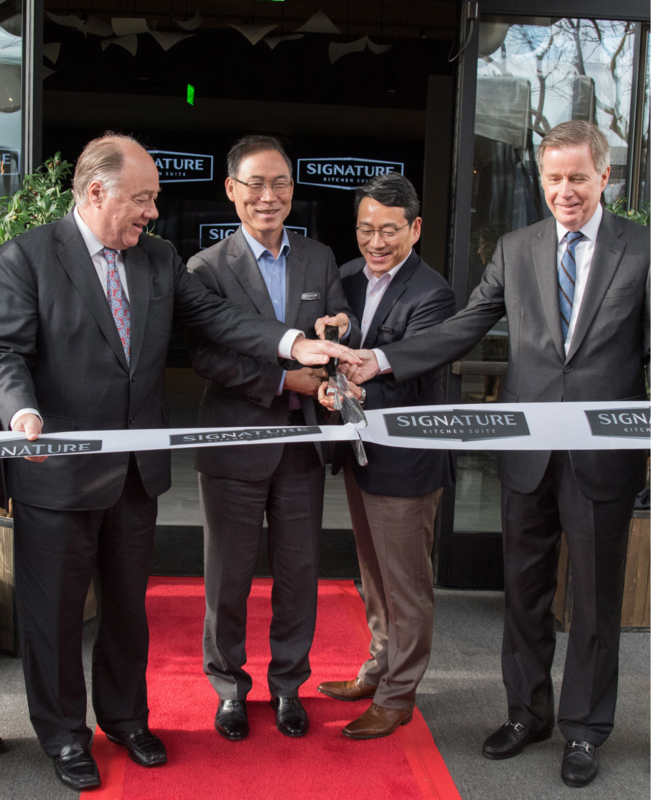 NEWSROOM: LG Electronics USA, Inc.
NAPA, Calif., January 15, 2019 /3BL Media/ – LG Electronics USA has opened a first-of-its-kind sustainable facility designed to bring to life the built-in luxury Signature Kitchen Suite in unique culinary, design and technology experiences for retailers, designers and builders. 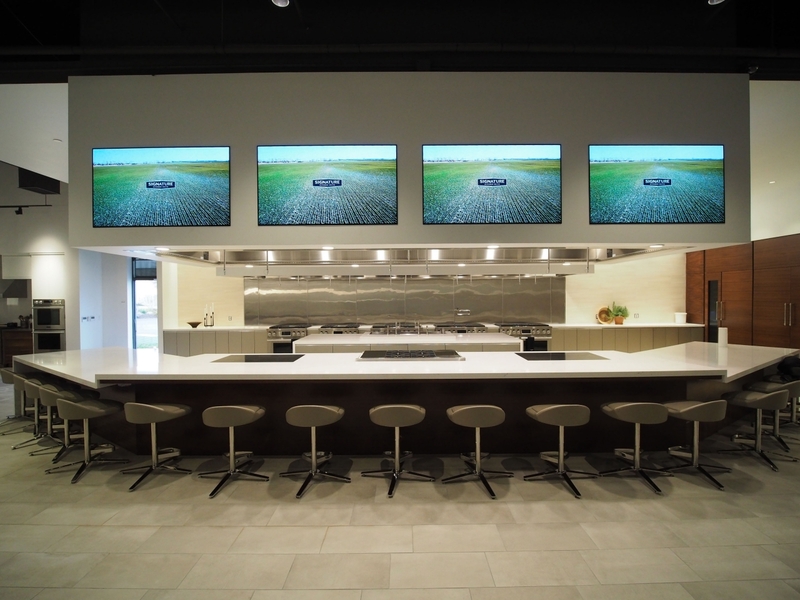 Located in the heart of culinary-centric Napa Valley, Calif., the multi-million-dollar “Experience & Design Center” was designed with environmental sustainability at its core, incorporating super-efficient LG commercial air conditioning and LG LED lighting systems. The center – a brand epicenter exploring the intersection between technology, sustainability and culinary innovation – features scores of ENERGY STAR® certified LG home appliances. 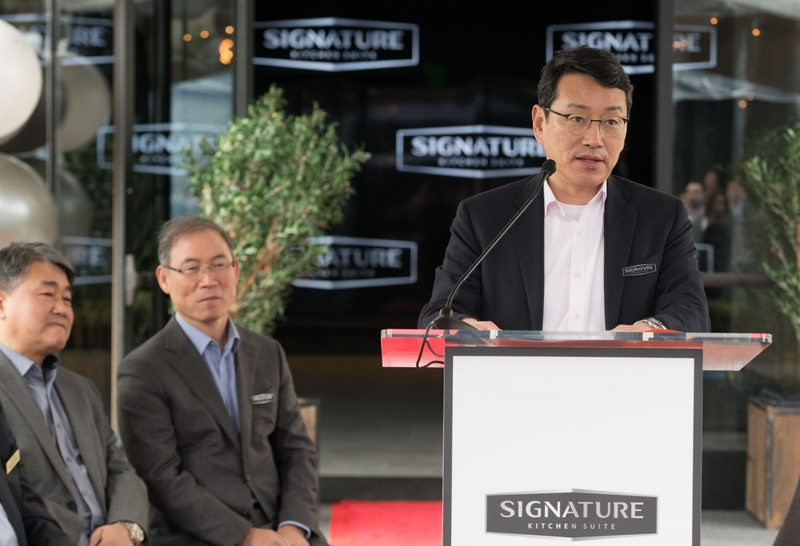 The Experience & Design Center facility is 100-percent powered by renewable energy and carbon neutral certified, “further underscoring LG’s commitment to greener living,” according William Cho, president and CEO of LG Electronics North America. LG Electronics joined MCE Clean Energy’s 100-percent-renewable “Deep Green” program, which sources power from wind and solar projects in California and supports the development of new, local renewable energy projects in the state. 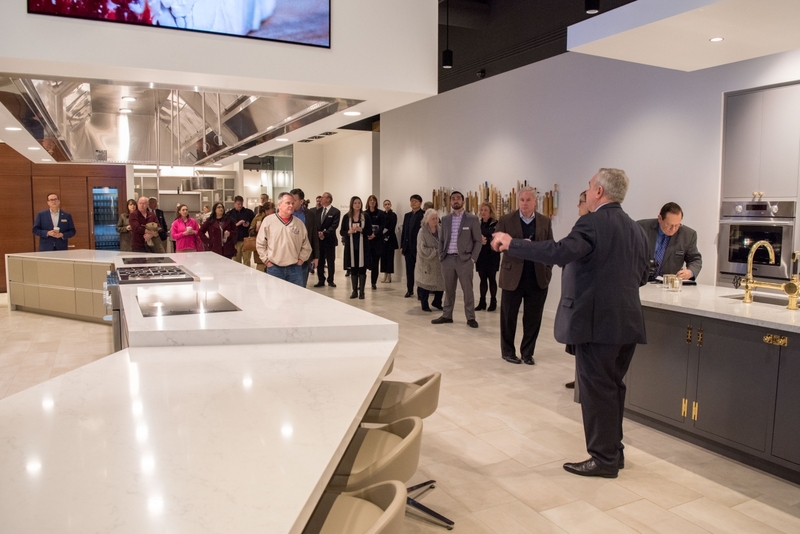 The centerpiece of the 23,000-square-foot facility is the high-performance Signature Kitchen Suite-equipped demonstration kitchen, which is one of 20-plus vignettes. Founded on the idea that better cooking is possible through better thinking, the Signature Kitchen Suite portfolio caters to a new generation of forward-thinking cooks called Technicureans,Ô combining their passion for food with their appreciation for innovation. Product experts and onsite executive chefs will provide hands-on training that brings the Technicurean lifestyle to life, in partnership with local wineries and produce farms as suppliers, providing a world-class culinary counterpart to the award-winning cooking technology being demonstrated within various kitchen vignettes featuring ENERGY STAR certified refrigerator-freezers and dishwashers. Other vignettes feature LG’s “Ultimate Laundry Rooms” with the LG Styler clothing care system and dozens of LG ENERGY STAR certified washers and dryers. Another key feature of the design center is the AI Lifestyle Zone that showcases LG’s artificial intelligence technology and industry-leading smart home innovations. LG offers the industry’s broadest selection of Wi-Fi enabled appliances, and the Experience & Design Center will show how LG home appliances help enable designers, builders and dealers to create a smart home ecosystem for their clients. 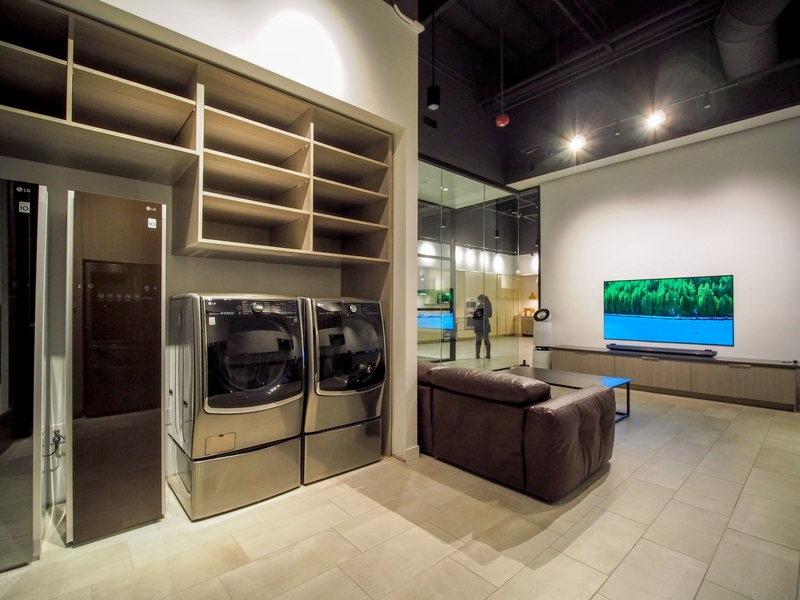 While spotlighting multiple Signature Kitchen Suite kitchens, the Experience & Design Center also features kitchen and laundry lifestyle vignettes with LG SIGNATURE, LG STUDIO and LG Brand home appliances. Beyond home appliances, the immersive experience at the design center is enhanced by advanced LG commercial displays (including dramatic LG OLED video-walls), surfaces by LG Electronics sister company LG Hausys, custom cabinetry and various surfaces and fixtures from Ann Sacks, Kohler and Waterworks, to name a few. For more information on the broad array of Signature Kitchen Suite and LG energy efficient home appliance innovations, visit www.signaturekitchensuite.com and www.LG.com. LG Electronics USA, Inc., based in Englewood Cliffs, N.J., is the North American subsidiary of LG Electronics, Inc., a $55 billion global innovator in technology and manufacturing. In the United States, LG sells a wide range of innovative home appliances, home entertainment products, mobile phones, commercial displays, air conditioning systems, solar energy solutions and vehicle components. The “Life’s Good” marketing theme encompasses how LG is dedicated to people’s happiness by exceeding expectations today and tomorrow. LG is a 2018 ENERGY STAR® Partner of the Year-Sustained Excellence. www.LG.com. More From LG Electronics USA, Inc. Videos from LG Electronics USA, Inc.
Join LG and Celebrate ENERGY STAR Day!